Some might find it difficult to move the needle and become more diverse in their companies because they are drawn to people who are similar to themselves. 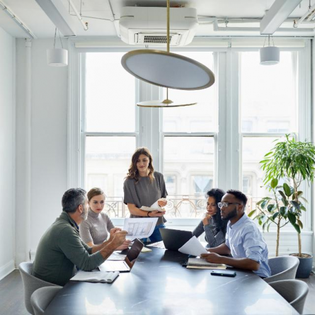 For example, the same Harvard Business Review study found that venture capitalists are “far more likely” to partner with others of the same race or gender, as well as similar educational backgrounds and past employers. But in my opinion, this means that entrenched groups stay that way — entrenched. It can be difficult to bring diversity into a homogeneous organization. In my experience, shared qualities often lead to shared opinions, and anyone with a differing opinion might want to avoid being singled out. If you’re able, start with prioritizing diversity as early as possible so that it’s built into the DNA of your operation. You can incorporate diversity in a number of ways, such as making it one of your company’s values and having staff attend diversity training. You can even try something as simple as bringing foods to work that are traditional in your culture and encouraging others to share foods and traditions they embrace as well. While challenging to overcome, I believe it’s possible to help blind your bias. For example, having musicians audition behind screens has increased the percentage of women who make the cut for symphony orchestras. You can apply this concept to your business as well. Start by removing all name and pronoun data on applications by having an employee, who isn’t directly involved in the interview process, modify resumes and cover letters. A bonus blinder is to use a voice modulator to pull gender out of speech on a phone screening. It’s important that you are willing to recognize and address bias. Don’t pretend bias doesn’t exist. When ignored or denied, it simply furthers the problem. Consider addressing types of bias in team meetings. This shows that fighting bias is a value from the top, and it encourages your team to do the same. You can also try bringing in experts to do diversity and unconscious bias training. For each of us, extensive social contact on an equal footing is a good strategy for lessening bias, and I believe this begins with being open to forming friendships with people from different backgrounds. Consider joining a club you’re interested in or supporting a cause you feel passionately about. Make these choices intentionally. You can even start small — ask friends and team members of varying backgrounds to share book recommendations.